The renowned novelist Louis de Wohl, with crisp language and descriptive narrative presents the colorful lives and tumultuous times of nine of the Church's greatest Saints. 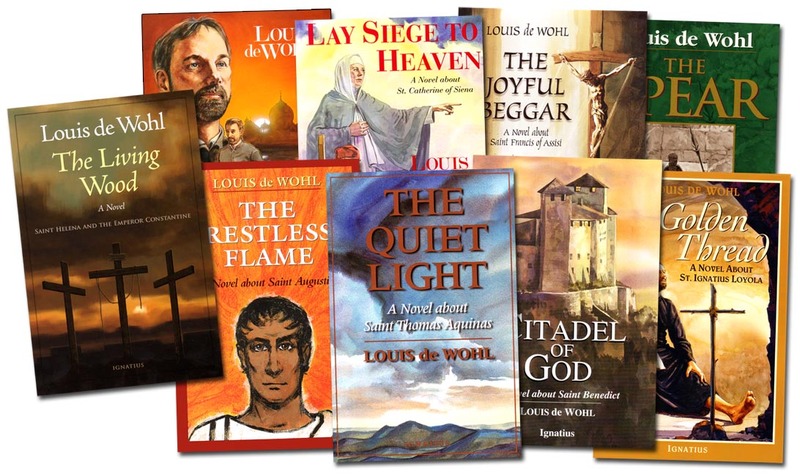 DeWohl has carefully re-created the exciting historical backgrounds and succeeds notebly in portraying these exceptional Saints. All books in this excellent series are recommended for High School through adult. It should be noted that some do contain somewhat adult content (such as St. Augustine's sinful life before his conversion) and, though there is nothing graphic, reader discretion is advised.